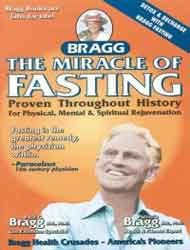 The Bragg Healthy Lifestyle with Fasting has changed my life! I lost weight and my energy levels went through the roof. I look forward to "Fasting" days. I think better and am a better husband and father. Thank you Patricia, this has been a great blessing in my life.